If you’re impressed by the latest Hyundai Elantra GT, you haven’t seen anything yet. The 2018 model year is set to bring a range of new technologies and design features that are poised to improve upon an already top-notch model. Below is a sneak preview of what you can expect from the 2018 Hyundai Elantra GT. The 2018 Elantra GT will have more of a sports car look with a stance that is lower, wider and longer than the 2017 version, giving the new model a more aggressive stance. The 2018 Elantra GT will also be constructed with double the amount of advanced high-strength steel for a body that is 22% more rigid than the current model. You’ll see a more luxurious cabin in the upcoming Elantra GT, with red-accented leather seats, alloy pedals and dual-zone climate control all available as upgrades to complement the 8-inch display screen. The newest Elantra GT is the first Hyundai to feature a remote start system. Using the new Blue Link® skill for Amazon Alexa, drivers of the 2018 model can use an Alexa-enabled device to control the GT’s climate remotely to start, warm up or cool down the car long before getting in. The redesigned body takes advantage of the added space to offer an increase of both cargo and passenger space. Thanks to the abundance of interior room, it’s expected that the 2018 Hyundai Elantra GT will be officially classified as a large car, a rarity for a hatchback. The engine in the 2018 model is the same 2.0-liter four-cylinder found in the 2017 version but offers more horsepower. You’ll also find a multi-link rear suspension system for more precise cornering. 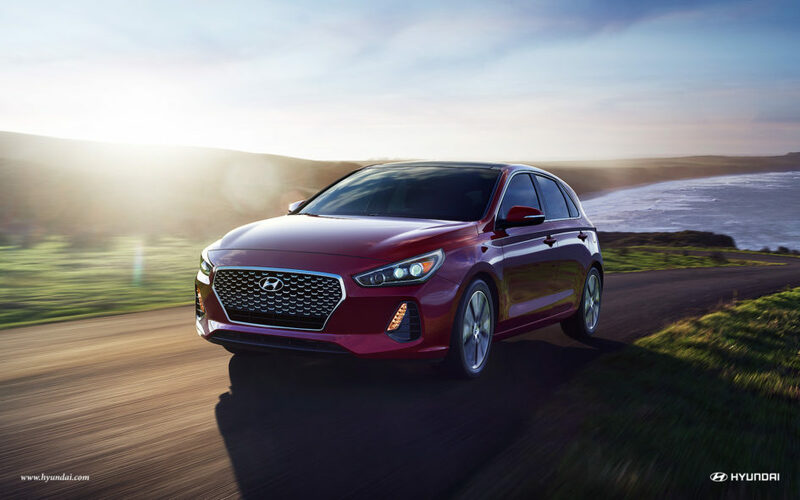 Whether you’re looking to upgrade your Elantra GT to the 2018 version or slip into a Hyundai for the first time, Parkway Hyundai in Wilmington, NC has you covered. The 2018 Hyundai Elantra GT is expected to be released any day now so come talk to the friendly staff at Parkway Hyundai to see about a test drive, upgrade and accessory options and any questions you might have about this car.